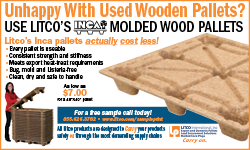 When considering non-timber pallets for export, one popular solution is the Inca presswood pallet from Litco International (http://www.litco.com). 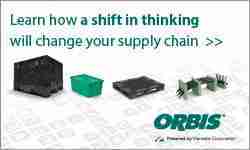 That is the choice made by companies such as Lincoln Electric, a Cleveland-based manufacturer of arc welding machines and consumables. Manufactured using an environmentally responsible process that molds wood waste and wood byproducts under high heat and pressure, the pallets are easy to use and hassle-free for exporting because they are ISPM 15 approved wood packaging and guaranteed free of bugs, bark and mold. Presswood pallets by Litco are a good option for many international shipments, states Gary Sharon of Litco International. He observes that presswood pallets compete in the price range of #1 reconditioned GMA and new wooden pallets, and are almost always less expensive than corrugated and plastic alternatives. Additionally, he notes that the Inca pallet is more rigid than low priced plastic pallets. For more information on presswood pallets, visit www.litco.com. 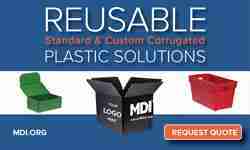 Next up for this topic, our discussion of plastic pallets for export.